Oakland, CA October 26, 2018 – AB&I Foundry, an Oakland-based company that manufactures cast iron pipe and fittings for the plumbing industry, spearheaded a massive neighborhood community clean up in East Oakland on Thursday, October 18 and Saturday, October 20. AB&I has been in Oakland since 1906 and has seen the city grow and change. With that change has come enormous blight with illegal dumping on neighborhood streets. The company teamed up with local leaders, organizations and residents to tackle this huge problem and addressed hotspots within the boundaries of 73rd Street/Hawley and San Leandro Street to 85th Ave and International Boulevard, as well as G Street between 85th and 92nd Ave. The team of 250 volunteers filled more than 800 bags with debris between Thursday and Saturday including more than 40 mattresses and an array of tires from the streets. During the clean-up many residents came out to thank the volunteers who were cleaning up their neighborhood. Also, cars going by were honking and giving a thumbs-up to the volunteers in appreciation for their efforts. The group of volunteers included team members from AB&I, neighbors in the community and other organizations who all wanted to make a difference. The Men of Valor from Acts Full Gospel Church sent 33 volunteers who were instrumental in cleaning up along Hegenberger Road, one of the worst dumping sites in the city. AB&I Foundry, based in Oakland, CA, is a division of McWane, Inc. Born in the shadows of the Great San Francisco Earthquake of 1906, AB&I Foundry has been producing quality cast iron products for over a hundred years. 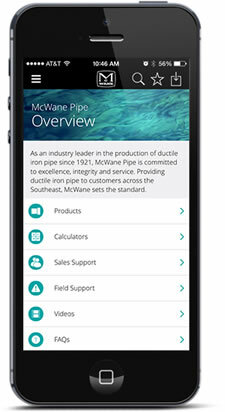 Acquired by McWane in 2006, AB&I manufactures a full-line of cast iron soil pipe and fittings for DWV systems. In addition, AB&I has become a modern, highly-technological full- service provider of custom OEM gray iron castings for companies nationwide. Through a comprehensive program of water treatment, air pollution reduction, recycling, and solid-waste management, AB&I has set the standard for responsible foundry practices and policies.